Industry 4.0: spend any time within additive manufacturing, or manufacturing more generally, and chances are you’ve come across the term. But what does “Industry 4.0” mean in reality? Is it merely an industry buzzword, or is it truly a meaningful description for the digital technologies currently disrupting manufacturing? In this article, we examine 4 common myths around Industry 4.0 — and explore the realities of the technologies in question. Industry 4.0 refers to the current trends of automation, real-time data and interconnectivity that are impacting manufacturing. These trends integrate digital technologies with physical manufacturing, bringing cyber-physical systems to production. The result: “smart” factories, where systems and networks are connected digitally, enabling the seamless exchange and communication of data. A number of digital technologies lie at the heart of Industry 4.0, including big data, the Industrial Internet of Things (IIoT), robotics, artificial intelligence and, of course, additive manufacturing. 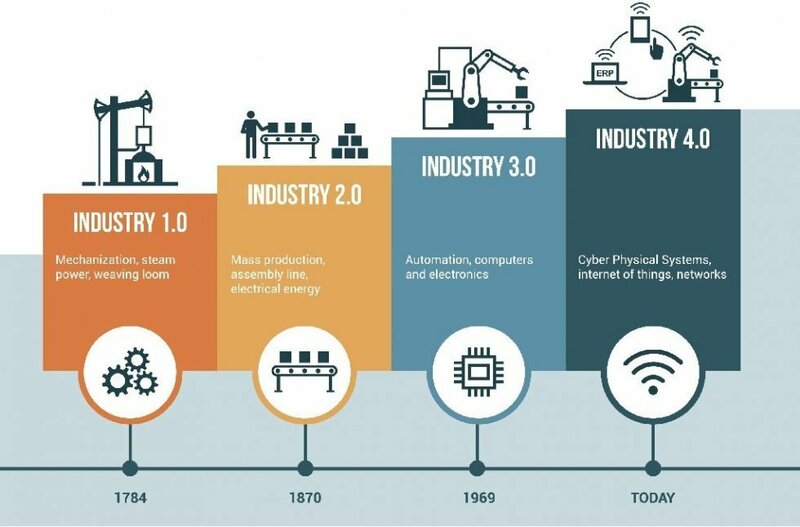 Also known as the Fourth Industrial Revolution, Industry 4.0 marks the latest industrial era, which began with the very first industrial revolution in the late 1700s. Since then, we’ve seen the gradual transformation of manufacturing: from the steam engine to the introduction of the assembly line, to production driven by computer and automation systems. Now, manufacturing is on the cusp of a fourth revolution, driven by digital technologies and the Internet of Things (IoT). The pace of transformation is unprecedented, with factories increasingly enabling communication between machines, sensors and other devices. Manufacturing is facing great disruption. Digital technologies are changing the way products are produced and processes are managed. Smart factories, linked through digital networks, are gradually becoming a reality, as manufacturers recognise the benefits of such data-driven insights and connectedness. However, in spite of the growing awareness, there is still a lack of clarity around what Industry 4.0 means for businesses in practice — and a great deal of confusion around what is (and isn’t) possible with these new technologies. One common misconception is that Industry 4.0 applies only to large corporations, requiring deep pockets to invest in new, state-of-the-art systems. Indeed, with key investments like Siemens’ 3D printing factory and Ford’s $45 million Advanced Manufacturing Center, it can quickly seem as though Industry 4.0, is limited to the bigger players. While large companies have the benefit of greater resources, there are varying degrees to which companies of all sizes can embrace Industry 4.0 technologies. Particularly for small and medium-sized enterprises (SMEs), where resources are typically limited, implementing a digital strategy doesn’t have to mean replacing existing systems with complex and expensive infrastructure. New hardware systems, for example, can be retrofitted to older equipment to reduce expenditure. Sensors and other software platforms are also often very scalable and customisable options. Attaching sensors to filtration equipment is one simple example of modifying a system already in place. In this instance, instead of physically conducting an inspection each month, a maintenance worker will receive a message alert only when the filters need to be changed, saving time and resources. This ability to use existing equipment to communicate with new technologies avoids the need to throw out legacy or older equipment. It also provides a cost-effective way to collect process data and ensure that all your systems communicate effectively. Additionally, it can be daunting to know where to start. With this in mind, it’s important that companies not focus on “Industry 4.0” as an abstract concept – but instead take the time to understand exactly where and how your organisation needs to leverage new technologies to drive business objectives. Defining what Industry 4.0 means for your organisation requires the development of a clear, enterprise-wide strategy in line with long-term business objectives, as well as a roadmap for implementation. 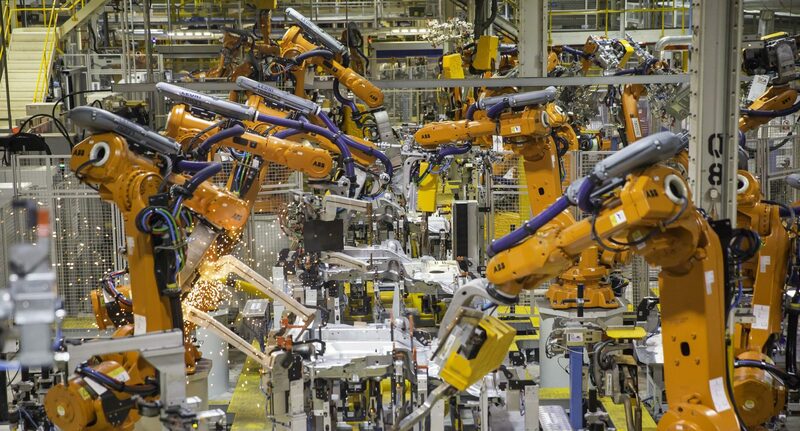 Automation is one of the defining elements of Industry 4.0. Much has been said about the potential impact of automation on manufacturing – including the fear of significant job losses. According to a recent report from the World Economic Forum, “the rapid evolution of machines and algorithms in the workplace could create 133 million new roles in place of 75 million that will be displaced between now and 2022”. This indicates a wider trend: that automation will, indeed, reduce the need for manual, routine roles. However, automation will not necessarily mean jobs will disappear. On the contrary; in creating new business models, automation will lead to the creation of new types of jobs. Seen in this light, automation will enhance the workforce, not shrink it. A case in point is collaborative robots (“cobots”), developed to work alongside humans. Instead of completely replacing human work, cobots have been developed to free workers from laborious, repetitive tasks so their human counterparts can focus on more complex activities elsewhere. And, since the robots help boost productivity, companies will often find themselves in a position to hire more workers for more specialised roles. That said, an important caveat for companies is the need to implement comprehensive training programmes. The widening skills gap within the manufacturing sector has been much discussed and, as a recent Forbes article states, manufacturing will soon require a new type of worker. Companies will, therefore, need to proactively prepare their workforce for the new range of skills required for the digital age. This includes, for example, evaluating organisational structures to ensure that employees can be trained effectively. Managing this organisational shift will be vital to the successful implementation of your company’s Industry 4.0 strategy. Collecting data is a key advantage of manufacturing digital transformation. The Industrial Internet of Things (IIoT) provides access to data on an unprecedented scale, with the benefits of data-driven insights clear: product improvements, quality management, and even improved customer service. With this arises a common misconception that simply collecting data is enough, with better decision-making being supported through analytics data. However, where companies will gain a real advantage is in ensuring that data is leveraged to derive actionable insights. This means understanding the data first, before using analytical tools and models. While AI algorithms are being developed to cope with the large volume of data generated by connected systems, this doesn’t mean AI alone will be able to analyse and provide the actions needed. Ultimately, the key lies in using data to add aid and bring value to operations. When talking about the place of 3D printing within the Industry 4.0, still many manufacturers view the technology as solely viable for prototyping. Despite the fact that 3D printing indeed is being largely used in product development departments to create prototypes and concept models, the technology has stepped beyond its rapid prototyping role into the realm of manufacturing. Today, manufacturers across industries are embracing 3D printing as a digital manufacturing solution. The benefits of 3D printing are extensive – from cost-effective mass customisation to developing products with unrivalled complexity, the technology offers extensive flexibility. Within the automotive sector, Ford is a great example of how 3D printing can be integrated into a smart factory. Within its Advanced Manufacturing Center, which houses 23 3D printers, additive manufacturing is used for both product development and production. General Electric is another company making 3D printing a part of its Brilliant Factories concept, which combines 3sensors, cutting-edge hardware and software to enable IoT powerhouses. With metal and polymer 3D printing, GE can improve productivity, as well as reduce the need for expensive physical inventories. When it comes to low-volume production, for example, 3D printing becomes a viable option. The ability to go from a digital model to production means that complex products can be created that would otherwise be impossible a using traditional methods. This enhanced freedom of design enables manufacturers to push the boundaries of innovation and bring new, innovative products to market that much faster. It’s no secret that technological advancements are occurring at a rapid pace. This acceleration means that the need to consider Industry 4.0 technologies – from additive manufacturing to big data and more – has never been more acute. Maintaining a competitive advantage, therefore, means being open to embracing this new, digital transformation. While this may at first seem daunting, companies across industries must be ready to seize the opportunities of this new industrial evolution.